The first woman to top Computer Weekly's list of the most influential people in UK IT – the UKtech50 – Jane Moran is facing up to the challenge of being in the forefront of innovation while balancing the everyday technology demands of the third largest consumer goods company in the world. Moran took over as global CIO of Unilever in June 2014, after four years in the same role at Thomson Reuters. Her new job builds on the years at her previous employer, where she was focused on transformational technology programmes. This is helped by the fact that Unilever, as Moran describes it, is "very aware that technology really drives the business". 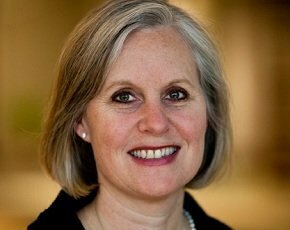 "Unilever is a great company and [the CIO role] is a great opportunity I couldn't pass up," she tells Computer Weekly. Moran, also voted in 2012 by Computer Weekly readers as the most influential woman in UK IT that year, sits on the advisory board for Women in Technology International and is a strong proponent of efforts to encourage more women into IT. She follows a three-pillar mantra when it comes to the ingredients for being a successful technology leader, which apply to any senior IT professional, regardless of gender. “Having the passion for technology and being able to keep up with the trends and changes in the technology landscape is key," she says. The third pillar, essential to one of the top CIO jobs in the UK – and also in the world – is being able to fine-tune leadership skills to drive improvements in Unilever's comprehensive IT agenda. "I manage a very large organisation so, as well as having an executive presence, you need to be visible within the organisation. I am very fortunate in that we already had a great team here, so I am helping them in building leadership skills [in IT] further so that we can work on the improvements we want to achieve," she says. At Unilever, Moran is involved with some of the most innovative technology developments in industry – the internet of things, 3D printing and a new Unilever programme to fund and work with tech startups. In addition, the company has a technology core that has evolved from a previously decentralised model. According to Moran, the overall goal for her team will be to take IT at the firm "to the next level", standardising and rationalising the estate. Key suppliers for the company include SAP as the provider of financial and core supply chain systems – in one of the largest SAP implementations in the world – as well as Salesforce.com for digital and Microsoft for end-user computing, plus Oracle for database management. While the manufacturer has a plethora of on-premise systems, it also makes extensive use of cloud-based technologies. Looking forward, Moran sees keeping pace with business requirements as something many CIOs will struggle with in the next couple of years and beyond.